Human hand and wrist pain caused by arthritis and carpal tunnel syndrome injury in the hand joint as an anatomy with skeleton. What are the Clinical Indications for performing the Synovial Fluid Analysis of Wrist Joint? How is the Specimen Collected for Synovial Fluid Analysis of Wrist Joint? Process: Insertion of a needle into the wrist joint (arthrocentesis of wrist joint). 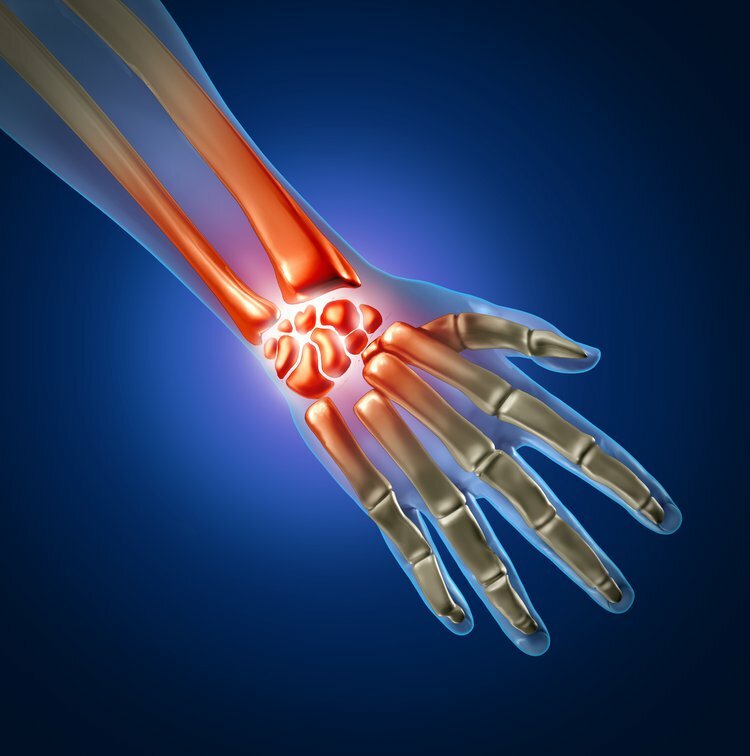 What is the Significance of the Synovial Fluid Analysis of Wrist Joint Result?